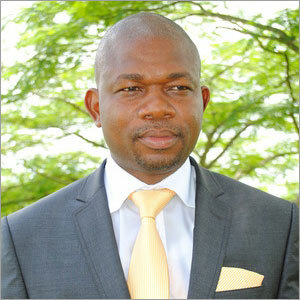 Joseph Odogwu is the Acting Managing Director of Gede Foundation. With over 25 years of experience in the development sector, Mr Odogwu has contributed immensely in programme development and implementation within HIV-AIDS, Malaria, Reproductive Health, Maternal/Child Health as well as non-communicable diseases. Prior to joining Gede Foundation, Mr. Odogwu served as Deputy Managing Director, Director for Global Fund Project, Chief Operating Officer and Chief Finance Officer to Society for Family Health, Nigeria. Mr. Odogwu holds MSc. Accounting and Finance (University of Northampton), MBA (Banking and Finance (Enugu State University), and is a Fellow of the Institute of Chartered Accountants of Nigeria. He also attended courses on Program Management and Evaluation (University of Exeter) and Professional Management (London School of Economics and Political Science). Jeremy Boglosa is Gede’s Performance Director for Organisational Development and Support Services (PD:OD/SS). She holds a BA degree in Sociology and Economics and a Master of Management degree in Rural Development from the University of the Philippines-Visayas. She joined Gede as a volunteer in 2006 and was appointed Performance Director in 2014. Her previous experience in the areas of administration, teaching, community development and social research coupled with her decade-long experience at Gede have all enabled her to cope with the demands of her career in the NGO world as an individual. In line with the Foundation’s new programme focus on Mental Health, Jeremy acknowledges the importance of parallel “movement” of an organization’s systems vis-à-vis change (whether on theme, scope, size) in its programme and activities. In charge of Gede’s Organisational Development and Support Services, she understands that the Foundation’s support services and systems have to change as the programme changes. Godwin Etim is Gede’s Performance Director for Resource Mobilization and Partnership Management and has a Bachelor of Engineering degree, in addition to key skills gained in a long career in project design and management. Godwin has played a pioneering role in a number of key programmes in Nigeria, including those focused on HIV-AIDS and malaria which contributed greatly to enhancing the national uptake of treatment services as part of Global Fund grants. Throughout his career, Godwin has worked closely with projects supported by locally and internationally renowned partners such as the Addax & Oryx Foundation, FHI-360, the Society for Family Health, PharmAccess Foundation, UNICEM, the National Cancer Institute, Federal Ministry of Women Affairs and the World Bank. With a career in underserved and stigmatized health burdens, it is perhaps not surprising that Godwin is passionate about exploring the prevalence and impact of mental illness on a number of existing health burdens. Godwin participation in 2015 Global Mental Health Summer School in London on Research and Action added significantly to his knowledge about mental health research and ways in which ‘partnership’ at all levels is very much ‘the name of the game’ in the national, regional and international contexts. Godwin considers the relationship between mental health and other diseases as vital and must result in continuous advocacy at all levels of society to ensure genuine government and donor commitment in allocating resources to mental health service delivery. Within this context, Godwin has been advocating, through different opportunities, for inclusion of mental health into HIV treatment, care and support for many reasons—some of which will help address challenges currently associated with poor adherence to medication. Godwin believes that in order to attend UNAID’S vision 90:90:90, a comprehensive treatment package, focusing on more innovative approaches including mental health will be vital. Godwin is happy to see Governments, donors, development partners and the patients’ community beginning to explore the possibilities of integrating mental health into HIV treatment platform.